The main reason for my attraction to this pen is the color. The beautiful deep striking purple combined with the silver steel nib makes for a very attractive pen. Another thing I love about this pen is that it is high quality for a reasonable price. I am not yet skilled enough in the the art of writing with a fountain pen to invest in a $100-$200 fountain pen. But at $36.50 I can get a high quality fountain pen that will last. Are you a lefty? 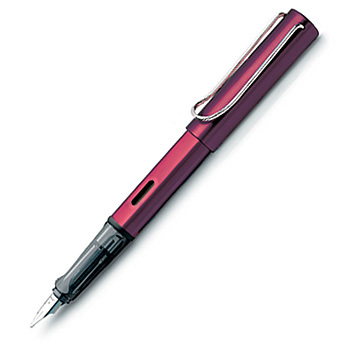 The LAMY AL-Star pen in purple is also available with a left handed nib! 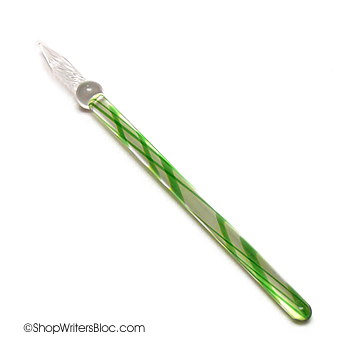 Before working at Writer’s Bloc, I had no idea that glass pens even existed. I have had the privilege of testing the J. Herbin glass pen, and it is hands-down one of the niftiest pens I have ever used. 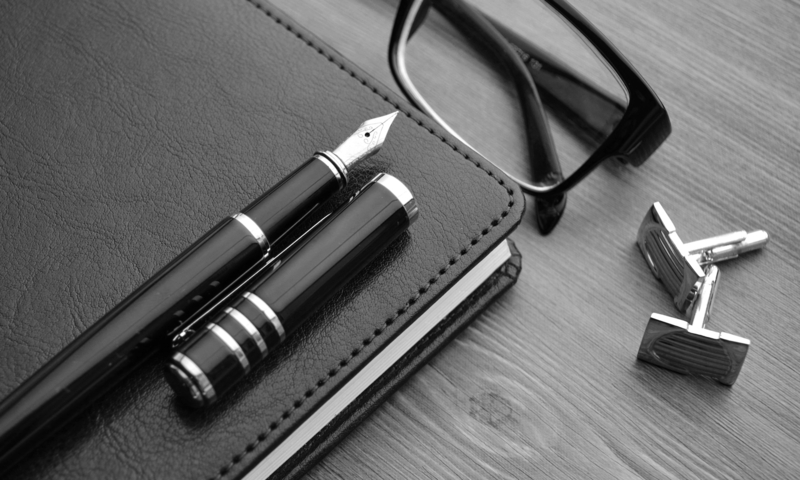 The spiral tip acts as a reservoir for ink which allows you to write several sentences before having to re-dip your pen! J. Herbin Glass pens come in several different colors and designs that are sure to complement your most avid writer. The Habana Journals have always been one of my favorites. They are simple, practical, and sophisticated. The paper quality is fantastic and the elastic closure and inside pocket are great features. This is just a classic notebook that can switch seamlessly from school to work. I have been mostly drawn towards the Taupe color which has been discontinued. However, the Habana Journal is also available in Black, Red, Anise Green and Raspberry with both blank or lined pages. If you are like me, you have several different email accounts and dozens of logins and passwords for this and that. After a while you begin to forget the logins and passwords you don’t use on a daily basis. The Bob’s Your Uncle Open Sesame book is our saving grace! You’ll never have to set up multiple usernames and passwords for the same site because you forgot the one you already set up! Keep all your login information in one place and in alphabetical order! This notebook is a convenient size for easy storage in an inconspicuous area and keeps all your logins safe and organized! 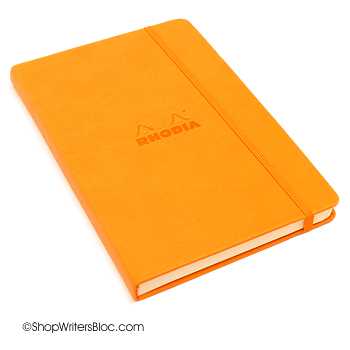 We carry an array of high quality journals at Writer’s Bloc, but one of my new favorites is the Rhodia Webnotebook. 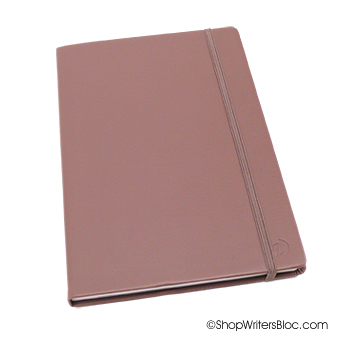 This journal contains the acclaimed ivory colored 90g Rhodia paper. The one aspect of this journal that really draws me to it is the cover. The cover is extremely smooth and sturdy. 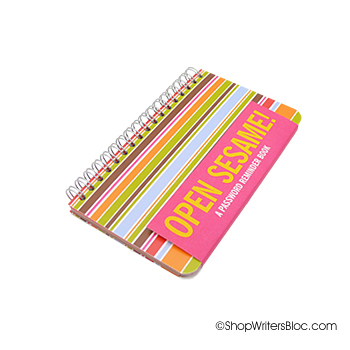 The elastic closure and ribbon keeps the journal neat and organized. And if you are like me, you like to stick separate notes, lists, or keepsakes in your journal. The Rhodia Webnotebook comes with a pocket in the back for people like us!